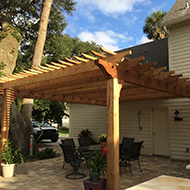 When you're in need of pergolas in Jacksonville, FL, rely on Alpha Natural Stones Plus. 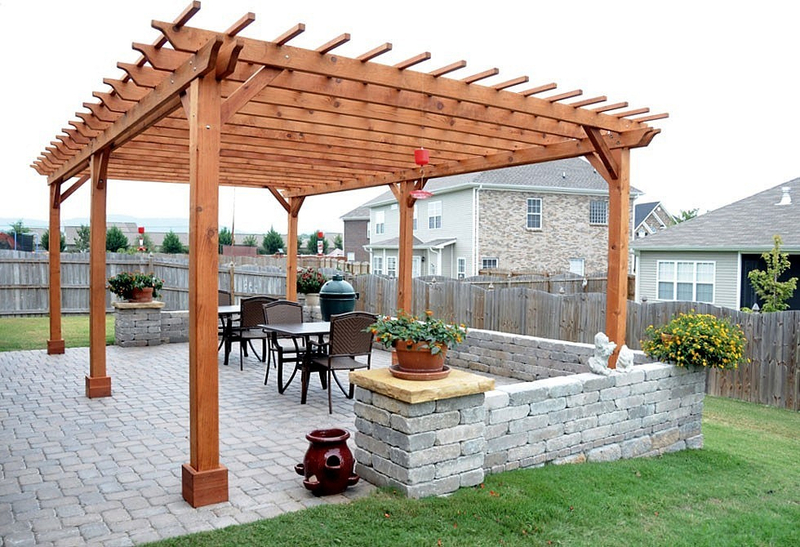 With over 25 years of experience, we're your premier choice for complete pergola installation services. Our professionals display their integrity and attention to detail on every construction and installation job they perform. We're proud to offer free estimates for all of our customers. 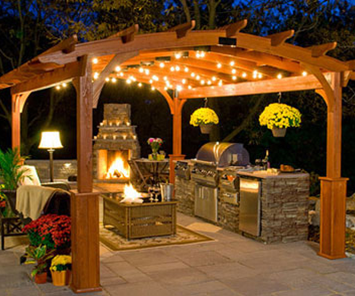 When you hire us as your pergola construction company, you won't have to worry about us doing a job halfway. Our professionals have a thorough understanding of the best practices when it comes to building pergolas. They'll install your pergola in an efficient and effective manner, while providing you with superb customer care. 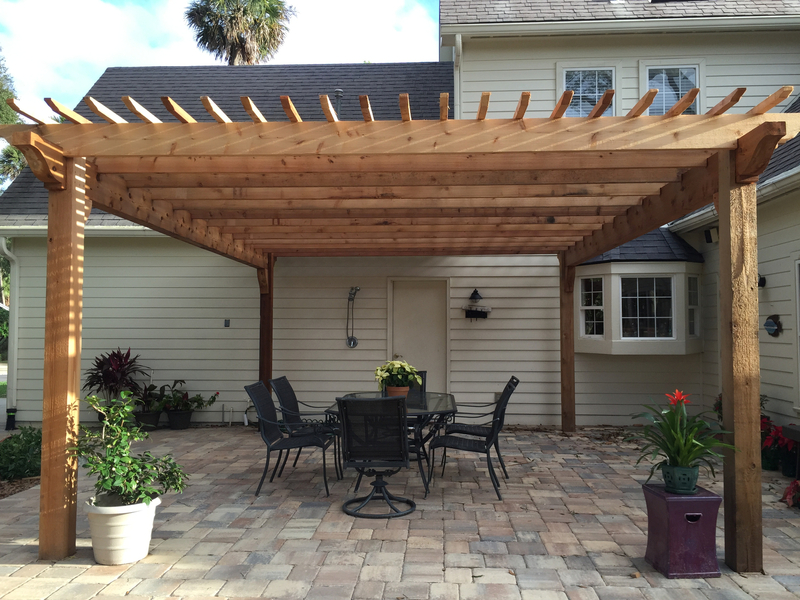 If you're looking to add a pergola to your property, it may be the right time to have your patio repaired. 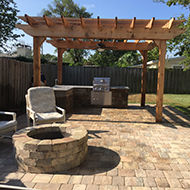 We provide complete patio repair services, to ensure that all of your outdoor areas look their best. Pergolas are essentially outdoor rooms. Sometimes pergolas are built to stand on their own. In other cases, they're attached to an existing building. 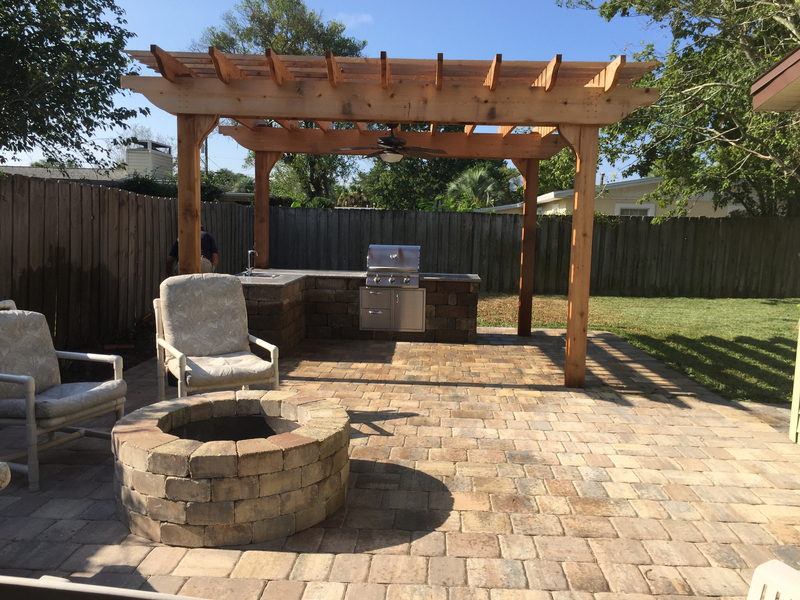 These attractive structures enable you to make the most of your outdoor space by creating an area for furniture, grills, and other features that is partially sheltered from the elements. By adding a lattice to the top of your pergola and allowing climbing vines to grow over it, you can better protect your furniture against wind, rain, and sunlight. Adding a trellis to your pergola area will make it even shadier. Not only does a trellis act as practical barrier against sunlight, it also beautifies your yard. A wide variety of climbing plants can be supported by your trellis, which enables you to give your yard a distinct look. 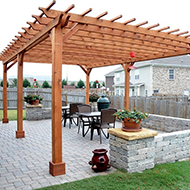 Our pergola contractors are here to help find the right type of pergola for your particular needs. Those with very large yards may wish to have their pergola installed away from their home. Homeowners with smaller yards, or those whose yards have already been extensively landscaped, may want their pergola attached to their home. This is also a great choice for those who want to be able to walk out of their home and right under their pergola, without having to step out under the sun or rain. Although standard pergolas do not offer the same level of protection as covered patios, they do provide significant protection against the sun. 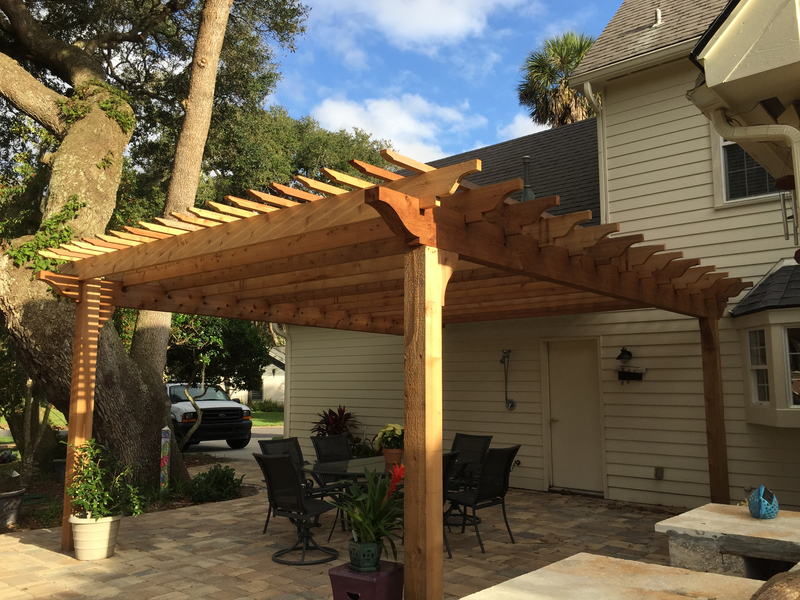 You'll have it made in the shade during those hot and humid summer months with a beautiful pergola from our local company. 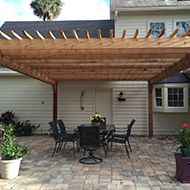 Contact us when you need a pergola installed. We serve our customers in Jacksonville, Ponte Vedra Beach, Jacksonville Beach, Atlantic Beach, and Neptune Beach, FL.